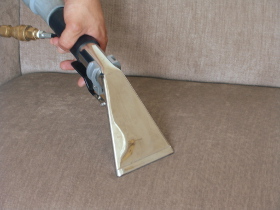 So what will be the price of our excellent sofa cleaning service? Make contact with us at this moment and we will swiftly provide you a non-obligatory and free offer at 020 3746 3201 or our form. Dear customers, our trusted sofa cleaning company delivers affordable services. We give discounts for regular customers and for another service booked with us. Consider ordering our mattress treatment cleaning service, it can be arranged throughout the whole year. There are no additional fees for holidays and weekend bookings. All prices are with VAT included! Our background checked and skilled cleaners can certainly provide you with superb bed furniture cleaning quality. A unique UV lamp treatment method is put to use for bacteria, dead skin cells and dust mites removal. That makes your bed sanitized and harmless to sleep on once again. This approach is quite swift and really effective. Our service helpful for people with respiratory problems, eczema, dust allergies, skin & eye irritations and several other problems which can be triggered by dust mites and allergens in the mattress. We are specialised in bed bugs eradication too. To make sure that your bed furniture is totally free of dust mites, pick up your phone and schedule our team of skilled mattress cleaners today! Blinds & curtains are blockers among the indoors or outdoors and commonly become stuck with pollen, dirt, dust and other potentially harmful residues. That is the reason why you should undoubtedly order our adequate drapery & blinds cleaning service. Our professional curtain cleaners are trained and equipped to always offer fantastic final results. No stains left behind! This is curtain upholstery cleaning performed the right way! Upholstery Cleaners Westminster W Gurus. Call Up Today! We currently have a system for fast upholstery cleaning Westminster W reservations. Better Cleaning Company provides bank holiday and weekend availableness at a fair and predetermined prices. Our upholstery cleaners can furthermore offer Scotchgard fabric protection and deodorising on request. There is no upfront payment for reservations, and we provide price cuts if you book additional services together with our upholstery cleaning. Get in touch with us now via phone 020 3746 3201 or send us a web request. Same day reservation available, if you require an emergency cleaning too!